Some people absolutely radiate love, while others are a bit more reserved with their affections. I Am Loving celebrates love in all forms – romantic, familial, friendship, and everything in between. 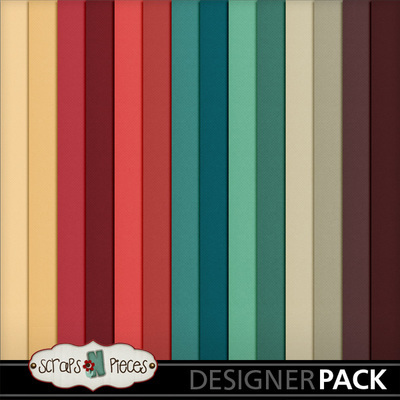 This non-traditional scrapbook kit isn't all reds and pinks; there's plenty of teal, yellow, plum, and a rich cream-gray color to warm your heart. 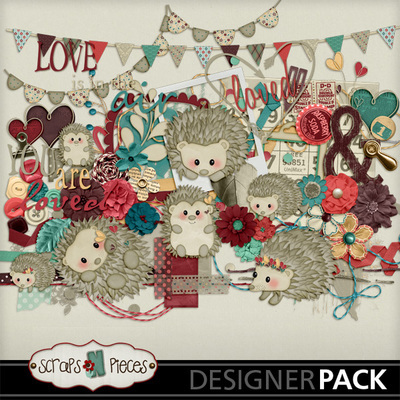 Traditional heart motifs, flowers, banners, and ephemera feature in this kit but the cutest elements have to be the hedgehogs. (Hedgehogs can be a little prickly and difficult to win over but they usually end up snuggled up close.) 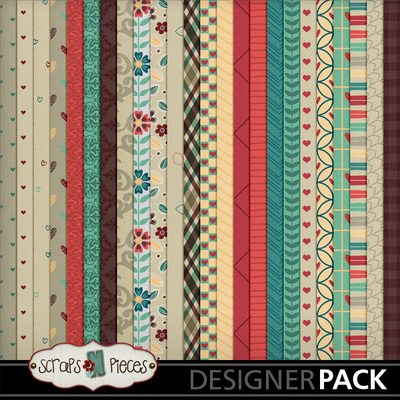 The patterned papers bring plenty of hearts and flowers for an additional dose of love and richly textures solids provide good support for your photos. A bold alpha rounds out this kit, making it easy to proclaim who you love. 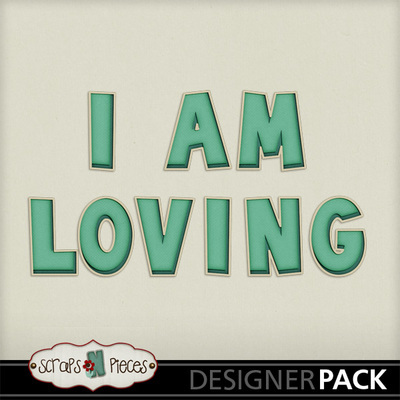 Whether you're scrapping the stories of those you love or working on a layout about self-love, you can proudly proclaim what fills your heart with I Am Loving.